One More Shot is a new film about a couples route to parenthood, which has been released in iTunes and Vimeo and will be on Netflix in 2018. I’m so chuffed that this film has been created as I think it is an amazing insight into what goes on when you can’t have a baby the ‘normal’ way. 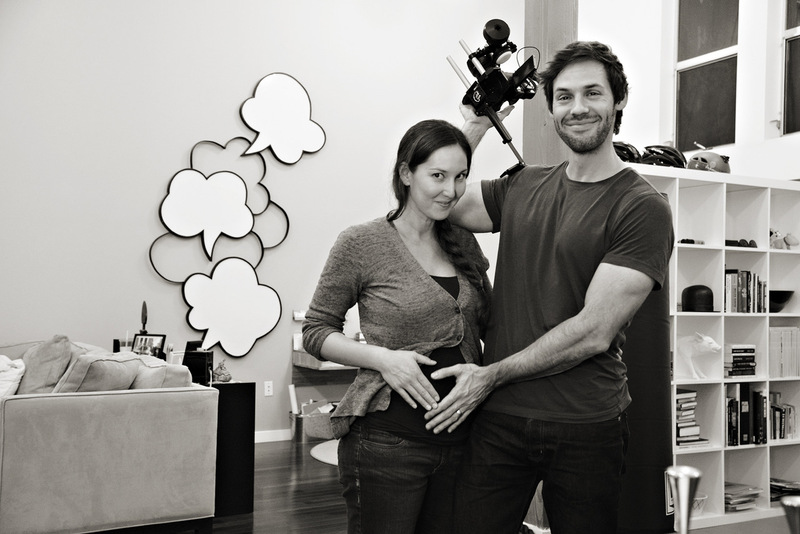 Maya and Noah have been documenting their journey to start a family on film, showing the ups and downs of infertility. From failed cycles to using a donor egg to being hung upside down by a Shaman, the couple go through a heck of a lot on camera to give you a real insight of what is sadly still a taboo subject. In this episode I spoke to Maya about what it was like to let the camera in, her journey, her family and her fear of needles being so strong that she had to ask a colleague to administer her shot when hubby Noah wasn’t around. I was keen to know what it was like having the camera around all the time, when having to deal with such difficult information. You’ll hear Maya explain, documenting stuff on film is a part of how her and Noah do things. They always have as he studied it at University, so it would have been more unusual for it not to be so. Maya talks in the film about how ‘it never stops’ for her, the obsession with trying to become a mother and if you’re currently going through your own infertility struggle, I know you will relate to this. Sadly, there are failed cycles and the realisation that they were going to have to use an egg donor, which you will hear Maya explain was fortunately her sister, however that brought added pressure to the situation. I also discovered once watching the film that Maya and Noah received a grant from the Baby Quest Foundation, which if you’ve been listening to my episodes sequentially you’ll know I spoke to the co-founder of Baby Quest, Pamela Hirsch in my previous episode. Maya was keen for me to let you know that part of the film’s proceeds will go to the Baby Quest Foundation which I great news. I really want you to have a watch of One More Shot as I think it is a fascinating piece. As someone having been through infertility I cried as I could relate to aspects of their struggle and my husband also watched some of the film with me and we were discussing how fortunate we were to have had am more straightforward route to parenthood. This film will get you talking, I’m sure. I also mention in this episode my chat with Wendy Litner, producer of the web comedy series ‘How to Buy a baby’ which you can have a listen to here and find the links. The post EP 109: ‘One More Shot’ a film about infertility appeared first on The Fertility Podcast.